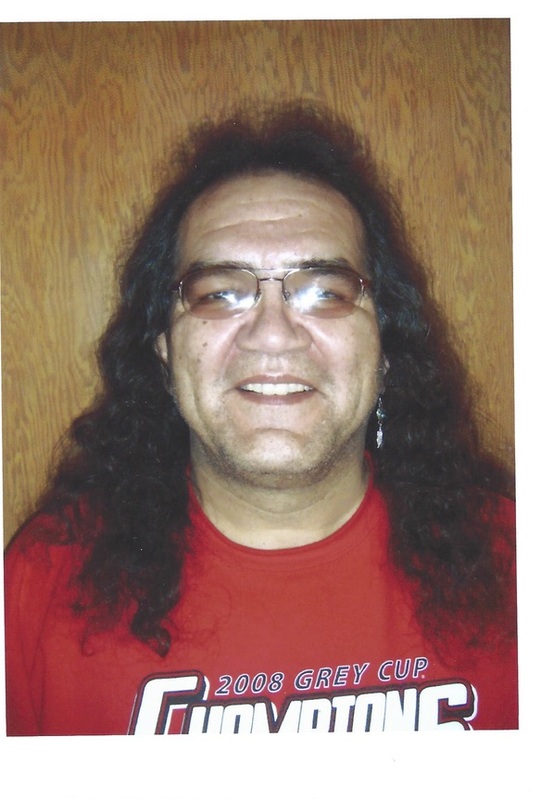 Dr. L. James Dempsey is a member of the Blood Indian Tribe of southern Alberta and was born in Calgary, Alberta. He attended the universities of Alberta and Calgary where he obtained his BA (1985) and MA (1987). 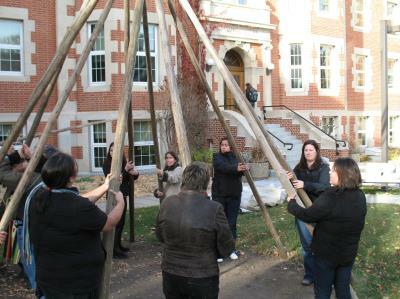 Dr. Dempsey came to the University of Alberta in 1992 as the new Director of the then School of Native Studies. 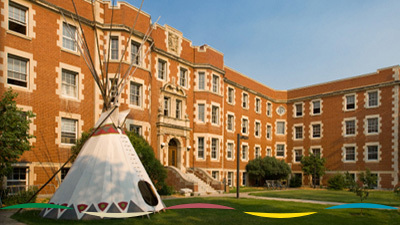 Previously, he was the Acting Dean for the Saskatoon Campus of the Saskatchewan Indian Federated College (now First Nations University of Canada). In 2001 he received his PhD from the University of East Anglia in Norwich, England. Dr. Dempsey's interests are in the Indian Act, Treaties, Land Claims, Plains Indian History and Culture, Warriors and Warfare, and Blackfoot History and Culture. 1. "Blackfoot War Art: Pictographs of the Reservation Period, 1880 to 2000," University of Oklahoma, 2007. 2. "Warriors of the King, Prairie Indians in World War I," Regina: Canadian Plains Research Center, University of Regina, 1999. 3. "Monuments on the Hills: Tributes to World War 1 Battalions," in Alberta History, Spring 2009, Vol.57, No.2, pp.15-20. 4. "Blackfoot Painted Panels of Glacier National Park," in The People of the Buffalo, The Plains Indians of North America, The Silent Memorials: Artifacts as Cultural & Historical Documents, Vol. 2, eds. Colin F. Taylor & Hugh A. Dempsey. Germany: Tatanka Press, 2005. 5. "Status Indian, Who Defines You," in Indigenous Peoples and the Modern State, eds. Duane Champagne, Karen Jo Torjesen & Susan Steiner. California, Altamira Press, 2005. 6. "Alberta's Indians in WWII", in King and Country, Alberta in the Second World War, ed. Ken Tingley. Edmonton: Provincial Museum of Alberta, 1995. 7. Foreward to War Paint, Blackfoot and Sarcee Painted Buffalo Robes, by Arni Brownstone. Toronto: Royal Ontario Museum, 1993. 8. "Effects On Aboriginal Cultures Due to Contact With Henry Kelsey," in Three Hundred Prairie Years, Henry Kelsey's Inland Country of Good Report, ed. by Henry Epp, Canadian Plains Research Center, University of Regina, Regina, 1993.